Random Thoughts of Steve Blake: Did you loose your horse today? After fifteen days the horse returned. He hadn’t been stolen; he had run away into the forest. 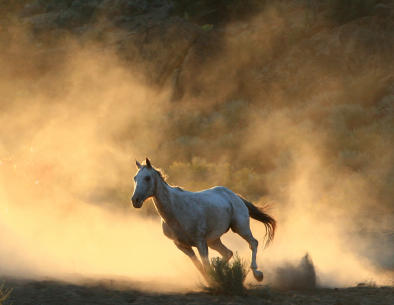 Not only had he returned, he had brought a dozen wild horses back with him. Once again the village people gathered around the old man and said, “You were right – what we thought was a curse was a blessing. Please forgive us.” The old man responded, “Perhaps. Once again you’ve gone too far. How do you know if this is a blessing or a curse? Unless you can see the whole story, how can you judge?” But the people could only see the obvious. The old man now had twelve additional horses that could be broken and sold for a great deal of money.